The PSM does not come with inserts and direct outputs as standard so we asked engineer Chris Roberts to install these features using D Sub connectors he also installed 48v Phantom switches. 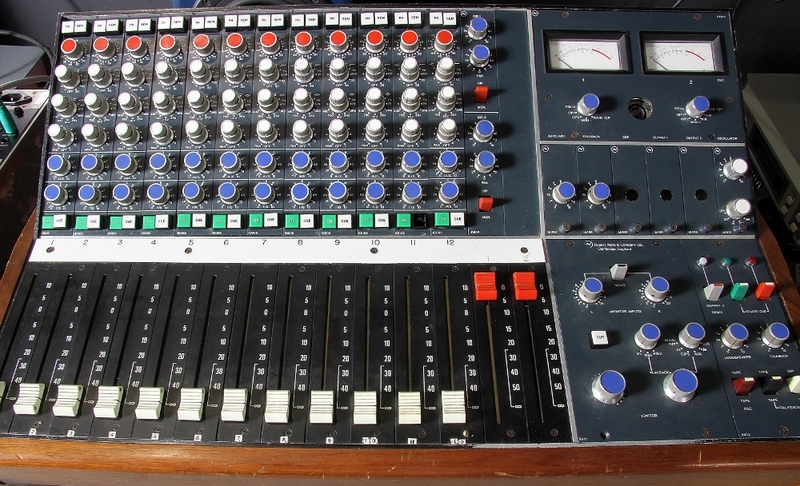 This console was manufactured in the early 70's and is in very good condition. It has been stored very well for the past 10 years we have recapped it and also given it a thorough service so it is now in top condition and ready to be sold. 12 Full inputs plus 2 stereo line inputs, total 16 inputs. 2 VU meters can be switched between outputs, play back, monitor and main.